Flying around in a tricked-out robot suit with a Marvel-esque swell of triumphant orchestral music in the background may never get old, but what exactly will you get up to in Anthem’s endgame? Once the credits have rolled and the denizens of Fort Tarsis have breathed a collective sigh of relief, your work is far from over: this is where the game really starts. Much like other live multiplayer games, namely Destiny 2 and the upcoming The Division 2, Anthem is stuffed with late-game activities for you to tackle. Tougher missions, contracts, and Strongholds all wait to test you and your team of Javelins. You’ll be jetting around BioWare’s inviting sci-fi landscape for a long time after you reach the level cap. I’ve been able to customise four Javelins, supercharged to level 30 and armed to the hilt with high-tier gear, before piloting them through a Legendary Contract, Threat Assessment, and two Strongholds: Tyrant Mine and The Temple of Scar. 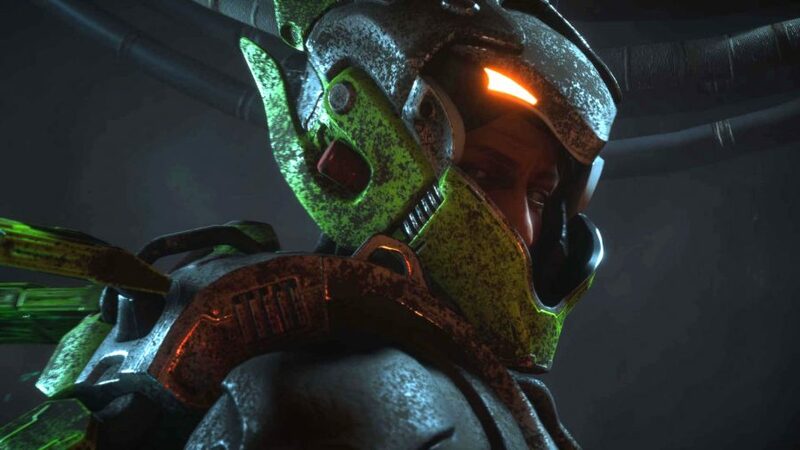 The experience has left me feeling a little odd walking around without rockets strapped to my feet, and taught me five things about Anthem’s endgame. Anthem’s Strongholds exist somewhere between Destiny 2’s short Strikes and lengthy Raids. Your first run can take upwards of an hour, and there will be plenty of tough obstacles to surmount. In The Temple of Scar, my team and I track Scelos, an elite member of the nefarious alien force the place belongs to. Scelos has escaped into an intricate cave network, and the massive swarm of his mates in our way is complicating matters. In contrast to the gloriously open splendour of the outside world, The Temple of Scar is a relatively constricted maze of tunnels that limit the possibility of an airborne flank. That’s a pain, because the enemy has dug into some mischievous positions. Heavily shielded turrets dominate on the ground, bringing to mind an unearthly Maginot Line, with snipers ready to pick us off from jutting cliff edges above. Related: Is Anthem a Destiny killer? After blasting through a few such strongly fortified positions, it’s on to the final confrontation with Scelos, a hideous amalgam of alien and machine. A spider-like tank, Scelos is protected by shield generators fitted to the walls of his arena chamber. Around those walls are whirring saw blades that make the space even more claustrophobic. And on top of all that, smaller mobs buzz around our heads, making the battle all the more tense and confused. If this Stronghold is indicative of the rest, Anthem’s endgame looks like a real challenge for high-level players. Contracts are missions that you’ll pick up by speaking to your fellow humans in the hub sanctuary of Fort Tarsis. These objectives won’t take as long as a Stronghold, but they stay fresh by changing each time you attempt them – varying the bosses you’ll face within them, for instance. In Anthem’s endgame you’ll have access to Legendary variants of contracts which, as you’ll probably have guessed, are harder and give you the chance to snag rarer gear. The Legendary Contract I played was Threat Assessment, which saw me and my team searching for a Shaper fragment, an artefact left behind by the gods that previously existed in this world. To find out more we needed to draw out its owner by using our combined Javelin strength to bash his allies about. It was all over in ten minutes and provided me with a new masterwork-grade assault rifle, proving to be a lucrative endgame distraction. Legendary Contracts won’t pop up that often, so be sure to give them a go if you’re short on time and need a gear boost. Each Anthem Javelin feels powerful in its own way. The lumbering tank of the Colossus and the agile, speedy Interceptor, when combined together in the same team, will devastate even the most intimidating of targets. Each mech feels different from the start, and within each model there is plenty of variety.That really becomes clear in Anthem’s endgame. Away from the explosive bluster of your fights in the outer world, Fort Tarsis is your safe and secure hub that lets you chat with NPCs, craft, and just get away from the testing trials and tribulations of the Freelancer life. Here’s everything you need to know about Anthem’s single-player sanctuary. At that stage, you’ll unlock Grandmaster levels one to three – on top of the existing easy, normal, and hard difficulty levels. You’re guaranteed a certain reward at the end of these quests, but the tougher the difficulty the more potent the pickups will be. The loot tier system rises in ascending order from Common, Uncommon, Rare, and Epic, through to Masterwork and Legendary. The rarer the weapon, the more inscriptions they will have. You will find one of these random passive abilities on Uncommon gear, and five on a Legendary. Over the course of the game you’ll pick up blueprints with which to craft your desired weapon over and over again to get your desired inscription. You can do this for all your gear, to explore all of the many nuances promised by Anthem’s builds system. You can increase the speed of the hulking Colossus, for example, or boost your Ranger’s heat meter to allow them to fly for longer. Sculpting bespoke Javelins for particular missions and playstyles will be vital for the hardest activities, and help you see beyond the relatively simple Javelin archetypes at the beginning. Even if you’re playing on normal or hard mission difficulties, Anthem can be a trying game to solo. And, since Anthem’s endgame introduces those even more challenging Grandmaster levels, you’re going to want to increase the odds in your favour. Playing as a foursome isn’t just more fun, it’s crucial for getting to grips with BioWare’s late game loop. 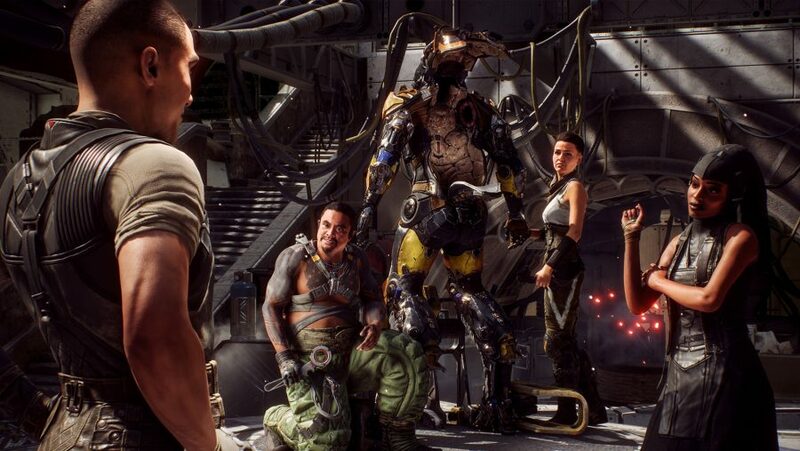 As long as you pick different Javelin types – preferably all four, if you can – you will fly rings around Anthem’s most imposing opponents. For instance, the Storm’s more efficient heat meter allows for longer airtime. This makes them useful for picking off enemies that are hidden up high, while the Colossus’ taunt attracts the aggro towards it to relieve fellow Freelancers. Since each class has its own strengths, you’ll have the most joy bringing them all together. Another reason to combine your Javelin strength is to initiate combos. To pull one off you need a primer and a detonator. For example, you could ask Storm to freeze their target to the spot, which acts as a primer. Then, you can rush in and melee as an Interceptor to detonate. Whether your skill fits into either of these categories is indicated in the place you kit out your Javelin, the Forge. A primer has a little dot to the left of the weapon or ability name, whereas a detonator features a flashing star shape. 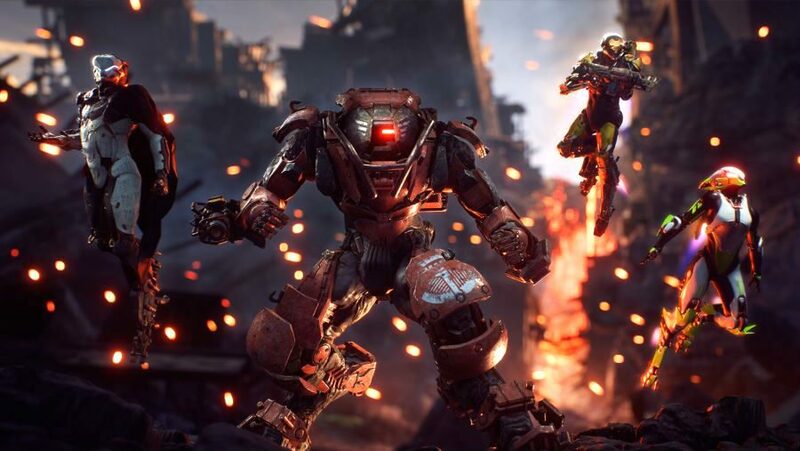 Unless you manage to construct a build with abilities that are capable of performing both parts of a combo, you’ll need to communicate with your team to make them happen and deal the high damage necessary to best Anthem’s hardiest foes. You’ll know when you’ve successfully pulled one off as you’ll hear a delightful little ding, and your enemies will cower in fear. Well they did for me, anyway.